“Sothiou,” a silk-screen print of a photograph by Khadija Saye, 24, who died in the Grenfell Tower fire, was displayed on Tuesday at the Tate Britain. 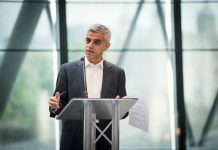 LONDON — An artwork by Khadija Saye, a 24-year-old British artist who died in the Grenfell Tower fire here last Wednesday, will be hanging in the memorial space of Tate Britain. “Sothiou” (2017) is a silk-screen print of one of Ms. Saye’s photographs in the series “Dwellings: in this space we breathe,” currently showing in the Diaspora Pavilion of the Venice Biennale. Ms. Saye, who was born and grew up in Britain, was a photographic artist whose subject was often her Gambian heritage. “Her work was all portrait based, and most of it is highly personal, which is pretty brave for someone of that age,” said David A. Bailey, the co-curator of the Diaspora Pavilion, which is showing pieces by 12 British-based emerging artists, as well as their mentors, through Nov. 26. The Diaspora program was founded two years ago by Mr. Bailey and the portrait artist Nicola Green to help racially and culturally diverse emerging artists and curators. Ms. Green, who met Ms. Saye three years ago while on a selection committee for an exhibition, said she was immediately drawn to her photographs and to the artist. The biennale brought critical attention to Ms. Saye’s work. 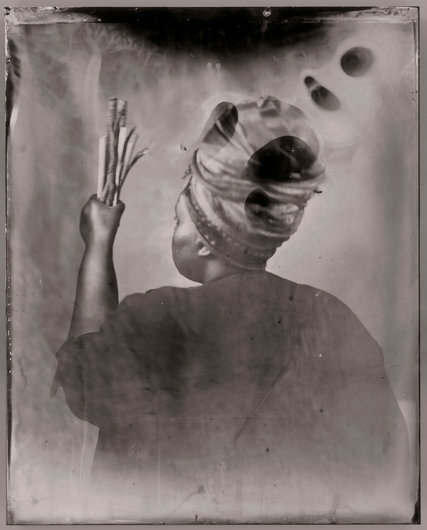 “Khadija Saye makes gorgeous wet collodion tintypes in which this haunting 19th-century photographic process heaps poetry and sadness onto her imagery,” Waldemar Januszczak wrote in The Sunday Times. It also brought requests to buy her work and interest from galleries, Ms. Green said.